The initial investigation of most crimes is conducted by a Uniform Patrol Deputy, Who files an Offense Report, documenting findings into the reporting system, which is reviewed by the Investigations Division. Major Howell and the Investigation Division review each report/case generated by Patrol Deputies, then determine whether the report/case will be assigned to an investigator for a follow-up or to be closed. Certain factors such as physical evidence, witness, and viable leads will determine how long the case/report will remain open. The Investigations Division has one Investigator on call during a 24 hour period, every day of the year. The Investigator on call can be "called out" to investigate an offense, crime, or crime scene. The Investigations Division has a rotating call out schedule to ensure the highest quality of service. The Investigations Division strives to investigate each offense, crime or crime scene objectively and in the best interest of the Sheriff's Office, the Citizens of Mayes County and Justice. Major Howell leads the Investigation Division and has over 20 plus years of Law Enforcement experience with over 1000 hours of training and currently holds an Advance Law Enforcement Certificate through the Council of Law Enforcement Education and Training (C.L.E.E.T.). The Criminal Investigation Division has three full-time Investigators, who are C.L.E.E.T. Certified Peace Officers with over 50 years of combined service in Law Enforcement and numerous hours of training. 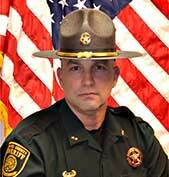 First Sergeant Nave has 20 plus years of Law Enforcement experience, and is a graduate of C.L.E.E.T. Investigator Academy and has numerous training hours. Investigator Brown has been a C.L.E.E.T. Certified Peace Officer since 1980. He has worked as a dispatcher, patrolman, jailer, and deputy, before being promoted to investigator in January of 2018. He has an Associate Degree in Criminal Justice from Rogers State College. Investigator Brant has been a C.L.E.ET. Certified Peace Officer since 2004. He has an Associate Degree in Criminal Investigation from Rogers State University. He has worked for the State of Oklahoma as a Child Abuse Investigator. He was assigned to the Criminal Investigative Unit in October 2018.